Randy Jackson is getting a divorce from his wife of 18 years, Erika Jackson, according to a report released by TMZ. Randy Jackson and his soon-to-be former wife, Erika, were married back in 1995. 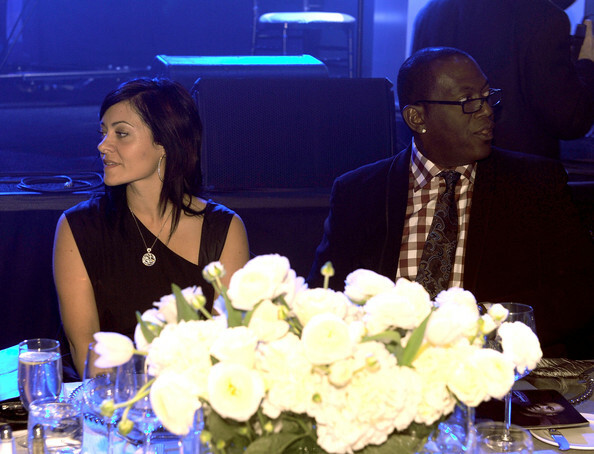 Randy Jackson had already been married once before Erika to Elizabeth Jackson, but that marriage was dissolved five years prior to him marrying Erika. In addition to the daughter that Randy Jackson had from his first marriage (Taylor), he shares two children with Erika — 19-year-old Zoe and 17-year-old Jordan. Since Zoe is legally an adult, Jordan is the only child that will be discussed when it comes to child custody once the divorce has been finalized. Based on the report released by TMZ, Erika Jackson is determined to have full physical custody of her son and share joint legal custody with Randy Jackson. She reportedly also wants Randy Jackson to pay spousal support in addition to covering the costs of her legal expenses. Most people remember Randy Jackson from his many years behind the judges panel on the hit FOX music competition series, American Idol. However, long before he was a television judge, Randy Jackson has worked as a singer, musician, and record producer since the early 1980s. The news about Randy Jackson and his wife Erika heading to divorce court seems to be part of a recent trend in celebrity marriages, especially when you consider the number of married couples in the Hollywood limelight who are either separated or heading for divorce. Think about it! Nick Cannon and Mariah Carey. Wiz Khalifa and Amber Rose. Bruce and Kris Jenner. Randy Jackson and Erika Jackson. This ongoing trend has also been noticed by quite a few people on Twitter as well. #AmberRose #WizKhalifa #MariahCarey #NickCannon #JordinSparks #JasonDeRulo and now #RandyJackson from American Idol….whose next? Whether there is a cheating scandal or any other dirt lurking in the shadows of Randy Jackson’s dissolving marriage has yet to be seen. However, it does kind of force the average person to take a look at other celebrity marriages that seem to be going great but are actually getting close to that divorce court trip as well. Perhaps Randy Jackson and Erika Jackson will be able to reconcile their “irreconcilable” differences before the divorce is actually finalized. On the other hand, any positive sign might be too little too late. What do you think about Randy Jackson getting divorced?